Special Agent Finnigan is book 2 in the Undercover FBI Series by Mimi Barbour. This is the first book of the series that I have read. Special Agent Finnigan by Mimi Barbour is an FBI crime romance that took me by surprise. From the first page it provides strong characters that soon have you falling in love with them with a clear visual picture in your mind. Special Agent Finnigan is not just a crime romance but a book full of fun, love and drama. It is hard to find a review on this book by someone who did not like it, 5 stars seems to be the norm, although some found they loved it from the first page whilst others said they found it slow. I will agree that I have found other books by Mimi Barbour to be slow at the start and felt I could see a pattern in Mimi’s writing as far as this was concerned but Special Agent Finnigan has changed that pattern, scooping me up and throwing me in from the first paragraph. Mimi Barbour has managed to create a chemistry between her characters. All good books hold a chemistry between the two leading characters who set the scene and plot but with Special Agent Finnigan Mimi Barbour has managed to place a chemistry between every character she introduces. We see the romance but we see chemistry within the workplace and the family relationship. I read this book after reading two other books by Mimi Barbour, She’s Not You, part of the Elvis Series and Loveable Christmas Angel, part of the Angels with Attitude series. She’s Not You was the first and it grabbed me. I followed with Loveable Christmas Angel and felt a little disappointed, as though Mimi Barbour had let me down. In Special Agent Finnigan I feel she is back again. For me this is Mimi Barbour at her best. A fast paced and unforgettable read that has left me wanting to read the whole series. It is easy to see why Mimi Barbour has sold over 500,000 copies of her books world wide. My only disappointment with this book is that it is only available in e-book. This is a series I would love to include on my bookshelf. 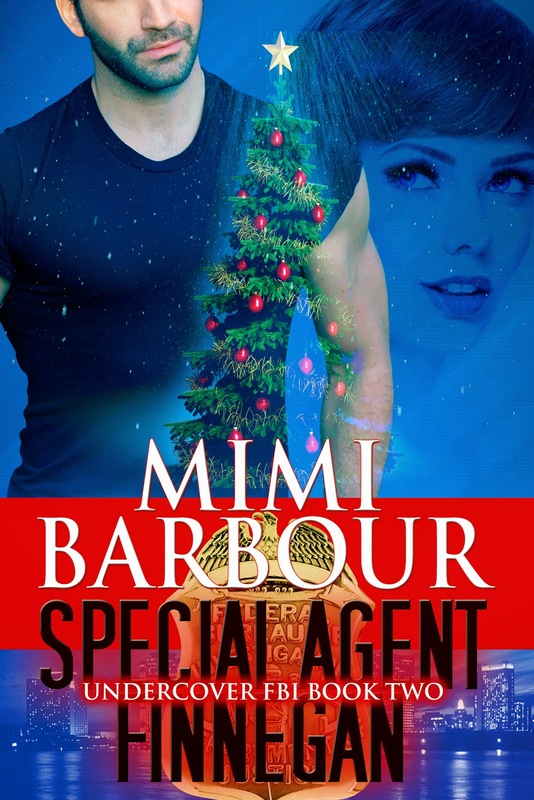 5 out of 5 for Special Agent Finnigan by Mimi Barbour.